Supplies used: My Mind’s Eye Just Dreamy paper, Button Ups by Sticko, Prima Clearly Fun Shapes, unknown rubon letters, brads, and rhinestones. Layout Challenge: #90 of 210. These pictures are from many years ago. 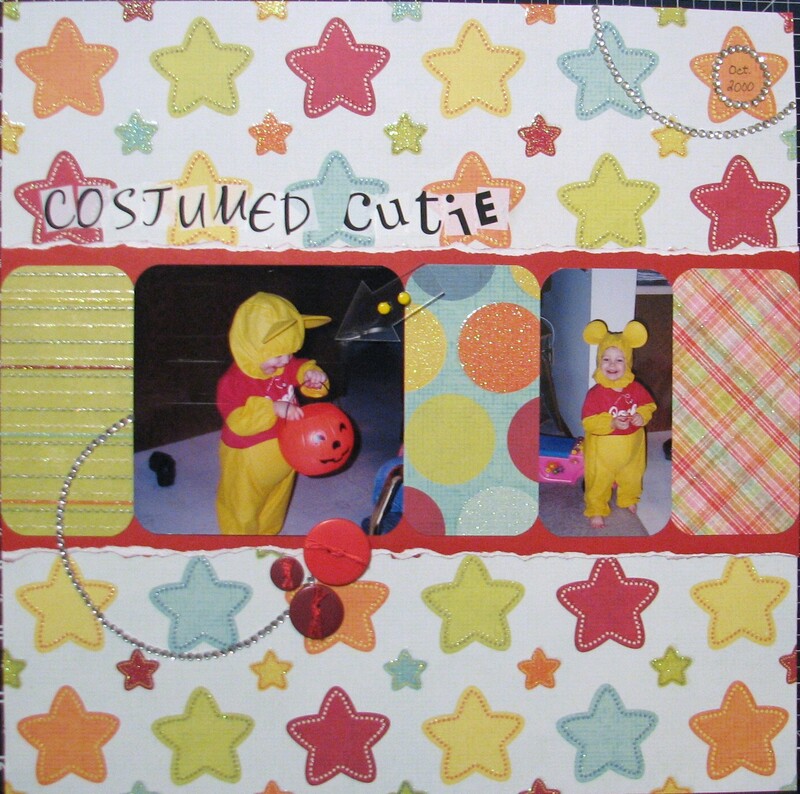 With the colors of the Pooh costume I wanted to use something besides the traditional Halloween colors. I pulled this stack out of my stash and remembered how much I loved it. 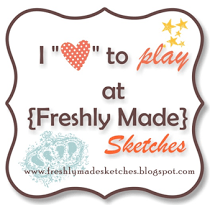 I used Sketch #32 by Helen Croft from Scrap A Little which is part of the November Challenge over at Scrap Our Stash. Be sure to check them out! !